Is there someone you haven't heard from eons but you often thought about them? Last week I received a surprise call from a long time school friend, Katrin. It's been quite some time since I last met her over a lunch date in Cikarang (two or three years ago). I was having an appointment with my customer in the industrial area there and meet up with Kat before returning to Jakarta. Kat's husband works in a Japanese automotive electronics company in Cikarang, which is why they chose to buy a house in that area to save cost and time. We still kept in touch by phone. The last time I got update from her was when her parents decided to sell their house in Jakarta and bought a house near Kat's place. However, as often happens, we lost contact somehow. I was so happy to hear Kat's voice again. But I was also mad at her for not telling me her new phone number and left me and my other classmate in the dark of her whereabout. She lost her cellphone and couldn't find my number until one day she accidentally found my number in a piece of a tiny paper inside her drawer. Hmmm...excuses, excuses! We shared our girlie stories and it really brought back some good memories we once shared. We laughed about weight changes and life changes, about our everyday experiences and gossips about our classmates. Kat and I studied in a Catholic all girls high school where boys are considered as a rare species! After some pleasantries exchange, she blurted out that her mother has been on dialysis for her kidney since January 2007, due to a complication of her diabetes. Since then her mom has been in and out of the hospital. I was totally sad by this shocking news. She added ..."I called you because I knew you'd make me feel better..." This words touched my heart so deeply. Fast forward, I remembered one incident with Kat's mom that made me scared to contact Kat by phone ever again. The story goes back about twenty years or so ago (this makes me sounds old and wrinkle...LOL!). On one rainy day I tried to contact Kat thru a public phone. Her mom was on the other side of the line. I greeted her politely and asked if Kat was around, but she sounded unhappy and scolded me not to dial the number if I didn't have any intention to talk on the phone!!! I was so shocked esp. when she slammed the phone down, not knowing what had I done wrong. When I told Kat about this she burst out in fits of laughter cos her mom has mistaken me with her younger sis admirer. Kat's younger sister, Cecilia, has had an admirer that her mom didn't like at all. Whenever the boy called Kat's home and her mom answered the phone, he would hang up. 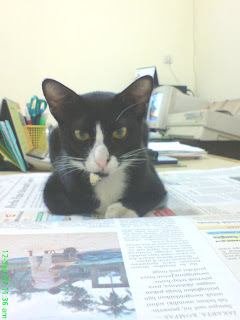 The day I rang Kat, her mom had picked up the phone for the umpteenth times ... then it was quiet. I didn't know the public phone that I used didn't work well (I could hear Kat's mom voice but not the other way around) which led her to believe I was the same boy who was trying to date her daughter! d'oh!!! Well, the past few days, I have been browsing as many information as possible about Chronic Renal Failure's diet and emailed them to Kat. It's too bad I could not find diet book for this disease in Jakarta as there are many food restriction her mom has to follow and it takes quite a bit of planning to prepare the foods. I may have to ask my sweetie to order the book from Canada. Am so glad Kat rang me. Sometimes in a time of crisis, we need to reach out to another person. Being a friend, I may not always have the answers, but at least I have a listening ears and I want her to know that she is not alone. I hope and pray that His benevolence and guidance will see Kat's family through this trying time. I stumble upon this Shepherd's Pie on someone's blog the other day but I forgot to save the link. The recipe calls for potato, kumara (a red or purple Japanese sweet potatoes), and pumpkin for the base. I quite like the idea of mashing them altogether as they create a pretty color. The filling is ground beef (well I supposed not to eat red meats...but am baking this pie for my brother...hehehe), frozen corn kernel, carrots and peas. I tweaked the recipe a bit by adding pasta tomato sauce for the filling mixture, and cover the top with grated parmesan and cheddar cheese. This appeared on yesterday Daily Mail story. It is truly moving and insightful. My hat goes off to Emma Noble and all moms who unselfishly sharing their stories about their children with autism, hoping that their experiences may be helpful to others in similar situations. "My son is autistic but I still feel so blessed"
"That showed my ignorance and how little I knew about autism at the time. I swear I couldn't get her out of my house fast enough. "What I do know is that the number of children with it are creeping up every year. For those of you following the break-up of 11 years marriage of France's First Family , President Nicolas Sarkozy and wife Cecilia , might think about the importance between success and happiness. Whether it happens to you or to the head of the state, I believe no one enters a marriage believing that it will end, and yet people get divorced all the time, and seen as being a healthy step to take when a relationship breaks down for whatever reason. People now has options and are taking advantage of them and creating solutions, different lifestyles, that suit their own personal makeup and needs. I once read, divorce, for one, is worse than physical death in many ways, because with death there is closure--it's the end, that's the funeral, that's the casket, it's over-- but with divorce, it's never over unless there's no money involved, no children involved, and both parties have found different mates. What do you do if the love of your marriage gone? Memory failures or forgetfulness may occur at any age as we are all getting older by the minute. And nobody is spared from this case. All of us suffered from this only in different situations. When I was a kid, my mom always used to tell me to always put things back in the same place, so I would be able to find them. Well I know I didn't always listen when I was younger. I tend to forget things if I have a lot on my mind or if I'm in a hurry. There were times I forget and misplace my glasses, my keys, my cellphone,sometimes I have to call my number and find it inside my purse. The most often is my glasses. I usually have them on except in the shower. I even have fallen asleep with them in bed while reading or watching TV. It is not rare I would running up and down stairs, checking all the rooms for a pair of glasses like a mad woman on the loose! 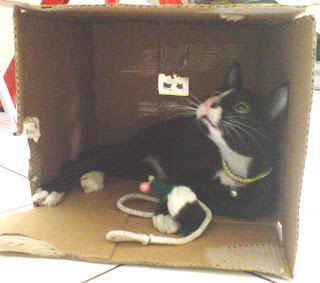 Once I found them under the bed, and once Suneo had picked them up off my bed and had taken them behind the TV set....argggghhh!!!! One of the few good things about living in the tropics is you're blessed with a lot of different varieties of fresh fruits. You can find banana's in all kinds of shapes and sized which are consumed in different ways: raw, deep fried, baked in pastry, etc. And then there are other local specialties such as mangosteen, rambutans, passion fruits, snake fruits, papaya, mangoes, star fruits and guavas just to mention a few. If you're like me, you'll eat most of them within a few days of your purchase, no matter how many you've bought. 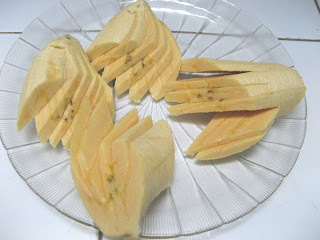 I could eat a lot of fruits every day - apples, strawberries, pineapples, water melon, mangoes. I have always been very health conscious and was lucky I live in a place where fresh produce is always available. 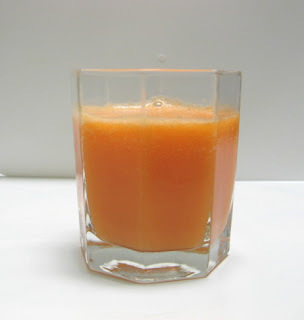 Breakfast is always started with a glass of fresh vegetable / fruit juice which I normally prepared the night before that. 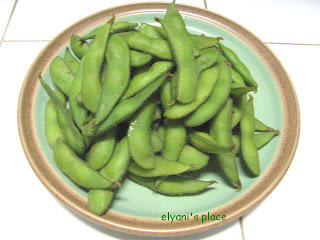 And because of my endo problem, I was also advised to add more beans on my daily intake and my favorite is steamed edamame beans. 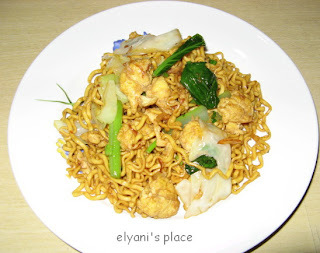 As requested by Eden, here is mee goreng recipe. -Heat oil in wok over moderate heat until hot but not smoking. Add the garlic paste, stirring frequently until fragrant. 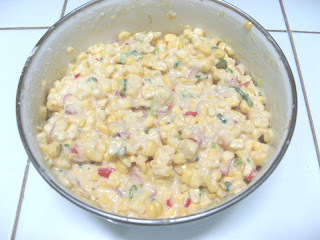 -Add the shrimp/chicken, stir-fry for approximately 2 minutes. -Add scallions, bak choy, cabbage, salt and pepper, stir fry it for another 2-3 minutes. 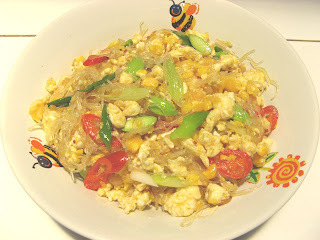 -Add the noodles and scramble eggs and stir well. Fry on high heat for another 2 or 3 minutes and dish out onto a serving platter. -Garnish the top with fried shallots, and spring onion. Mee goreng is best served hot off the wok/pan. How many times have you bought something, and later you regretted it? Sometimes I see clothes that look nice in the store, thought it looked good on me, try it on, good price, but when I get home, I just wear once or twice and start complaining the fabric does not absorb the heat etc..etc... when the truth is some of my purchases are triggered by impulsive buying. 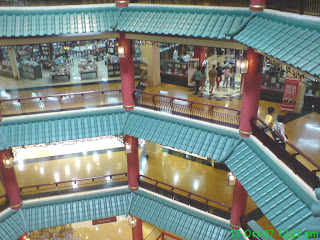 In today society shopping has become a a very common way to pass time for millions of people all over the world. There’s a lot of evidence that people really do see shopping as a form of entertainment. Walking the shiny marble floors, trendy stores and cool air-conditioning building is indeed the recreation of choice outside the home and workplace. It makes people happy and it provides a form of escape from the everyday worries that a person must normally confront. People "malling" because they have nowhere else to go. 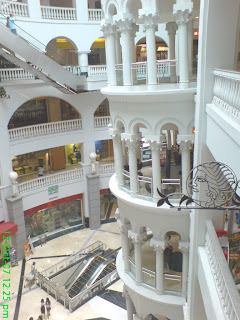 In Jakarta especially where the parks, libraries and museums are limited, the malls do provide us with several options and also a safe place to hang out. Consumers are exposed to ever exciting burst of distinct experience and excitement in malls, with everything from groceries and vegetables to clothes, footwear, cosmetics, electronic gadgets and household items all available under one roof. 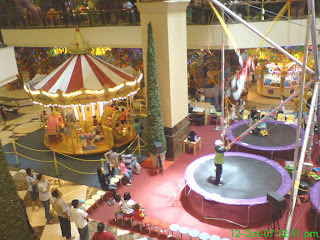 The malls also surrounded by coffee shops, cinemas, a variety of restaurants and food courts, even playground for children. Gone are the days where people had to make a choice among shopping, movies or hanging out with friends. All these jobs can be performed at the same time, under the same roof. 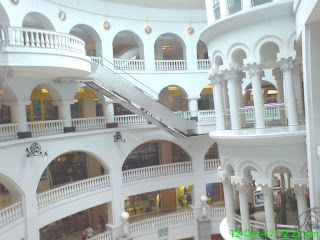 People come to the mall to stroll, linger, window shopping or meet their friends which has evolved into a lifestyle activity. People are spending more money than ever in an attempt to find fulfillment in their lives. Isn't it a fact of life that people do get judged by their physical appearance? For example, my Singaporean boss who is a very modest man never liked to travel with SQ despite their best reputation because the air stewardess used to look down on him --he likes to wear his old faded color shirt, he looks like the small shop owner in any China town...hehehe--, hence he has not been on any SQ flights for years. Are people treated differently depending on the types of clothing they wear? Unfortunately the answer is yes. Many people have found out from first hand experience that they are treated better and even receive better service in stores when they are dressed up rather than in everyday clothes. It's disheartening, isn't it? Perhaps what we ought to worry about is not the mall per se, but the lack of alternatives and consumerism. They say we're living in the Age of Information but it feels as if we're living in the Age of Shopping instead. Consumerism is not a force of nature and is shaping our attitudes without us realizing it. I miss the days when my life was less of stuff, my closet may have been emptier, the days in the dorm school in which a meal is shared is far more important than the kind of food that is eaten. Is there a time when we will have enough? I am just guilty as anyone else of this. Why do I need a certain item? Could I live without it and still have the same quality of life? *Want* will always be a battle, it will not go away. I will have to learn to ask myself if I Need this or only Want it. We'll see if I get around to that someday...coz I realize its easier said than done. One thing we can all agree on, babies (kittens and puppies are babies too) are cute, adorable and fun to watch whether they’re playing or sleeping. Check out the wonderful pictures in the Daily Mail that show kittens and babies can be a purr-fect doubles! 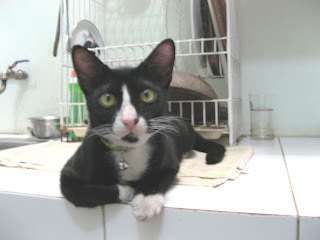 I just wanted to say that Suneo has fully recovered from his ordeal with the stomach bug. Glad it wasn't as serious as what the Vet told me. He recovered quickly, and now he is the same strong boy he ever was. He has gained his old weight, his coat is shining, he is eating well, and he is driving me crazy again with his many antics! "Shiseido pureness, give your skin power over shine, blemishes and dryness"...Shiseido. "No-Age Lotion, the No-Age anti ageing breakthrough, it smoothes instantly the skin, gives it an incredible brightness and preserves its youth capital"...Christian Dior. The objects of desire -cosmetics, skin care products- are now placed invitingly on open shelves, it will take the utmost restraint not to touch them. Women spend so much money on them, even women who have naturally beautiful, flawless skin they go to great lengths to maintain it. As readers / television viewers we are being punished for believing those ads but have you ever taken a close look at the ingredient listing on the label of your skin care products or cosmetics? Do you know what those substances are? You may think that it doesn't matter what's in your skin care products because after all you don't eat them. However, the article in Daily Telegraph caught my attention. It highlights that everything, from soaps, shampoos,deodorants to baby lotions, could actually be pushing us further away from beauty closer to cancer. I began to see the sheer ugliness behind beauty. Ever since I had endometriosis surgery and still have them until now (endo recurrence), I'm not on a skin care routine like I used to. I only wear Burt's Bees marshmallow cream, Marcks loose powder which is very cheap but has been in the market for over 20 years (they are originally called family medicated powder) and Burt's Bees Baby Lotion. I'm working my way to minimize the use of skin care products to as little as possible. After all life is not about your surface beauty anyway. What about you? I bet you all agree salty and sweet mixture makes the best snack. 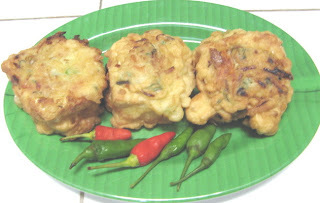 When you're in the mood for a simple quick snack, this perkedel jagung is easy to make and is an excellent appetizer. 1. With a sharp knife, cut kernels from the cob: first, cut halfway through the middle to release the "milk" then cut the remainder closer to the cob. 2. 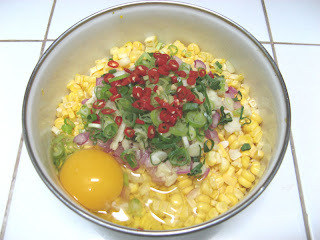 Put corn, diced shallots, garlic, red chili, spring onion and egg in a bowl. 3. Add pepper, coriander, salt to taste. 4. 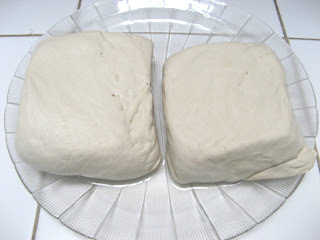 Pour all purpose flour and rice flour, mix well, add water just enough. 5. 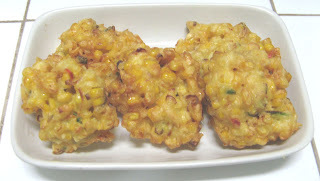 Deep fry the corn mix two spoonful each, drain with tissue paper and serve it when it is still warm. I was inspired by Retno's post a few days ago and made this Tahu Isi for my lunch. It's very easy to make, great taste and my friends were begging for more. 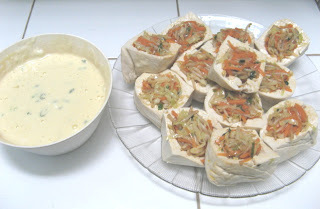 I substitute the filling with carrots, cabbage and mungbean sprouts. Stir fried them with shallot and garlic, spring onion, add a bit of chili sauce and salt to taste. 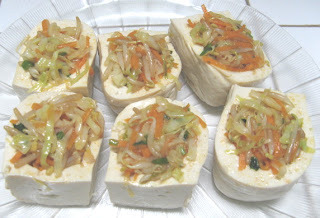 Cut the tofu into 6, scoop them but make sure you do not break them, then add the filling inside each tofu. Dip them in the batter and fry. I think the hardest part was waiting to taste it. They are also perfect as a cocktail food. To serve as a starter, serve with chili sauce or a relish of your choice. Thanks Retno! 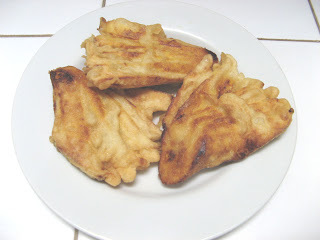 Pisang Goreng (fried banana) is one of my favorite snack. It is a great snack between meals or for breakfast. A cup of hot tea and a few pisang goreng especially during the rainy season is a real treat!! I used to get them from the pisang goreng vendor, fresh and hot!! Way back then, I enjoyed watching the middle-aged lady near my house with her large wok deep-frying the banana which is dipped in heavy batter. The batter is a combination of an equal parts of all purpose flour, rice flour, water, and a touch of salt. 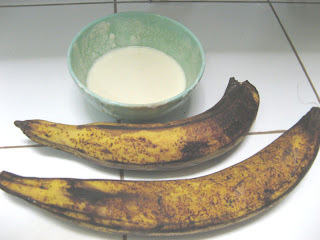 Mix them together, but only just, add the bananas, fry, and eat! They are moist, soft and sweet inside and the batter is crispy outside. 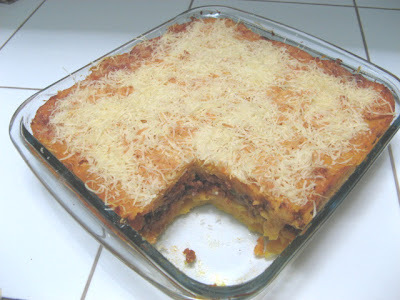 It is very easy to make and it tastes like a slice of my childhood.